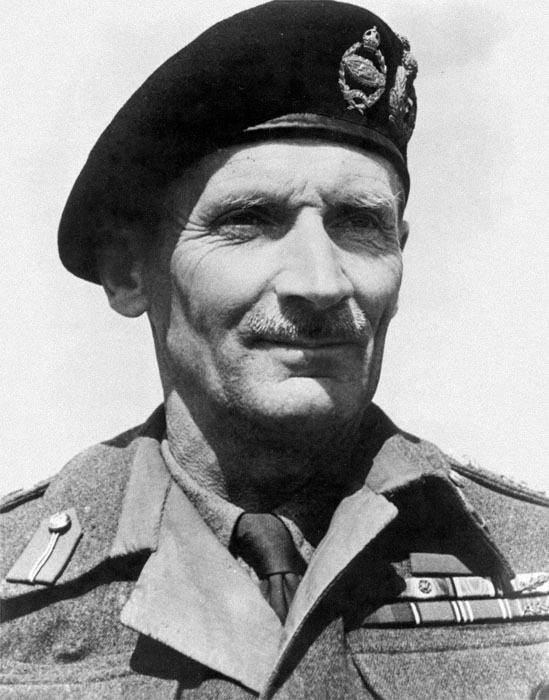 Bernard Law Montgomery (“Monty”) was born in the Oval House (52-54 Kennington Oval) on 17 November 1887, the son of the Reverend Henry Hutchinson Montgomery, vicar of St Mark’s, Kennington, and his wife Maud Farrar. Bernard was educated at the Royal Military College, Sandhurst after which he joined the Army in 1908 and served as a captain in the First World War. In 1942 during the Second World War he was appointed to the British Eighth Army as Commander. He quickly began the El Alamein offensive in Egypt against Rommel’s German-Italian forces and over the next two years his troops drove them out of Egypt, Libya and Tunisia. In late 1943 he was appointed Commander-in-Chief of the British armies on the western front, working with the Supreme Commander of Allied forces – General Eisenhower. In 1944 he was promoted to field marshal in command of English and Canadian troops. He was created a Viscount in 1946 and made Chief of the Imperial General staff. Later he became Deputy Supreme Commander of NATO forces. Montgomery died in Alton, Hampshire, on 25 March 1976.